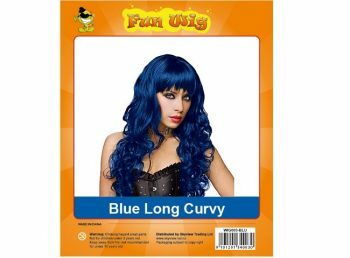 Woman’s fringed long curly blue wig. Long blue satin Chinese collared witch dress with black jagged strips overrobe. 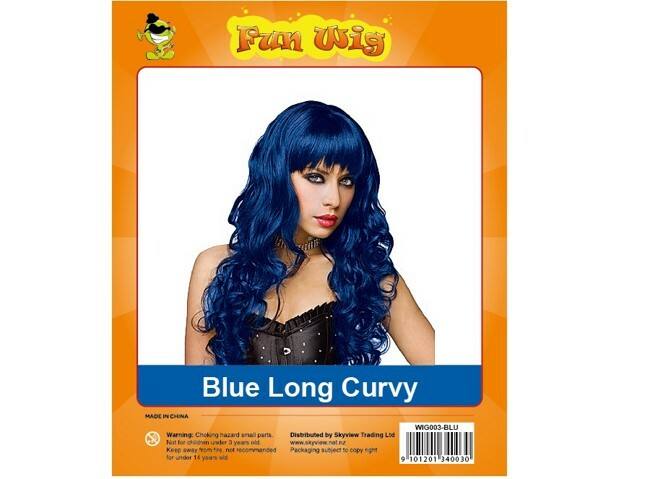 This costume has the matching blue satin steeple hennan hat with attached black chiffon. 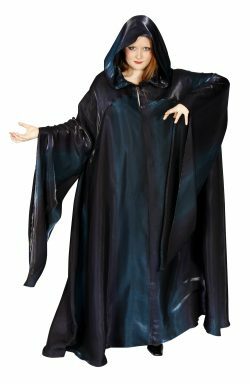 Absolutely divine blue purple shot satin long hooded robe. Use this piece for a witch, a sorceress or a Priestess. Blue black satin witch minidress with fitted lace front bodice and jagged chiffon skirt and sleeve trims. matching witch hat. 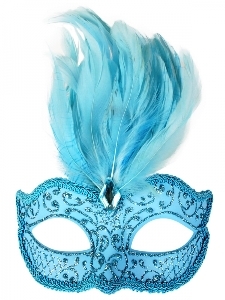 Daniella pale blue mask with feathers.